I think that by limiting the common names of birds to one per person, we can free up some birds to honor more modern scientific pioneers. Too much effort? Too complicated? No, stop it. Listen, the beauty about birds named after people is that the names mean nothing specific to the species. A lot of birds, Red-tailed Hawk, for example, have names that make up for in usefulness ("which one's the Red-tailed Hawk? It's the, uh, hawk with the red tail") what they lack in creativity. One you remove descriptive elements from the name - and, more importantly, once everyone gets used to the speices not having any description in its name - the possibilities are endless. 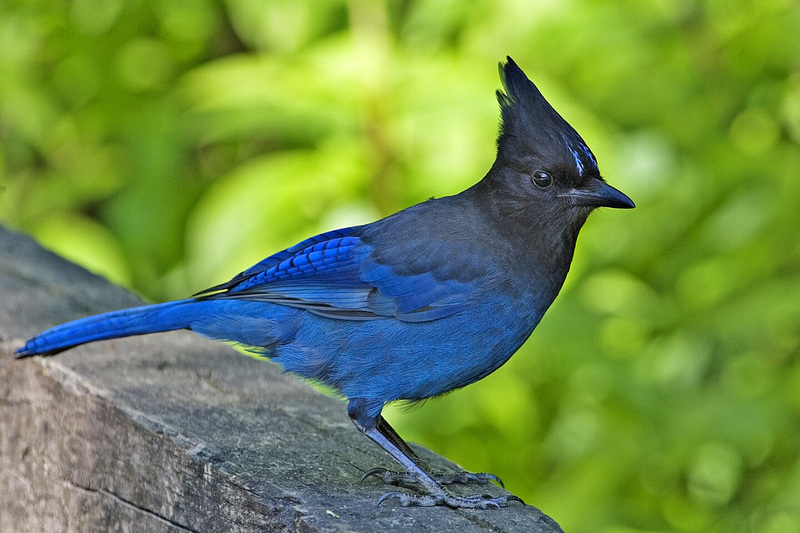 If the Steller's Jay were to become the Jjdkfjkdhiu Jay it wouldn't really change anything - we'd still have to know it was the one with the black head and the big crest. So let's do it. Here's a list of ABA birds named after the same person. They'll get to keep one, of my choosing. That's a lot of multiples, am I right? If we leave one species to be named for each of these historical figures, I count SEVENTEEN birds that are freed up to be named after new folks. The question now: Who we gonna pick? Now, I'm no ornithological historian. There are probably lots of people well deserving of having species named after them tht I don't know. But here are some of my suggestions. Theodore Roosevelt. Look, the guy was an incredible birder. He kept a list of birds seen on the White House grounds. In college he published a pamphlet called Summer Birds of the Adirondaks and another one on birds near his Oyster Bay home. He helped create 5 national parks, signed the Antiquities Act, and established 18 national monuments and 51 bird reserves (not national wildlife refuges). The guys got bona fides, he should get a bird. Theodore spent a lot of time in North Dakota - it's where Theodore Roosevelt National Park is today - is there an available bird that spends a lot of time in ND? There is. I think Baird's Sparrow sounds pretty good remade as Roosevelt's Sparrow. Roger Tory Peterson. Published the first modern field guide in 1934, when he was 26. Tireless promotor of the cause of birding, and is just about as beloved an icon as can be. I don't really know which is the best bird to give him...he was from New York so perhaps it might fit to take Swainson's Thrush and rename is Peterson's Thrush. David Attenborough. Still alive, I know, but no one lives forever and I'm writing this now. He's my absolute hero and someone who I feel has done more to advance the understanding of evolution and the appreciation of the natural world than anyone in the past century. Any of the birds are good for him, but for some reason I like the Swainson's Warbler renamed as Attenborough's Warbler. Mark Catesby. An English naturalist who was producing beautiful paintings of North American flora and fauna as early as 1720s. He was one of the first people to talk about bird migration, and helped inform Linnaeus' Systema Naturae. Give the guy a bird. He did a lot of work in Florida and the Carolinas, so how about Wilson's Plover becomes Catesby's Plover? That's all I've got for now. I'd love to hear other suggestions. We birders are a fair and level-headed bunch, let's come together to share the love for the many birder who've come before us. Nick, how did you decide which bird is "kept" by each eponym? Catesby and Roosevelt do have birds named for them, if I remember right. I'm okay with this idea. First, though, let's rename all the birds that are named for American states or places for absolutely no good reason. There's Cape May Warbler, Connecticut Warbler, Nashville Warbler, Tennessee Warbler and Philadelphia Vireo, for a start. However, the following can keep their names: Baltimore Oriole, California Condor and California Quail. California Gull? Probably not -- just look at a range map. I'm on the fence about Virginia's Warbler, though. I don't know that Catesby has a bird named for him, at least not anymore. If I remember right, the only species still named after Mark Catesby is Bullfrog, which is sort of sad. And TR may have had the last wild sighting of either the Carolina Parakeet or the Passenger Pigeon. I read an article quoting from his journal, ~20 years ago . Kris and Michael - I can be pursuaded into changing some "Americans", but I like that some geographic names like Cape May and Connecticut don't make a ton of sense. Plus, those aren't repeats like the multiple Cassins etc. Nate - Yeah Catesby has some things named after him, but not a North American bird. Some others, too, like David Attenborough has got a spider and some things, but all these folks deserve birds. Rick H - great point! Add it to the list of TR reasons. Clark's Grebe was named for Lt. John Henry Clark and Ross's Goose was named for Bernard Rogan Ross. Anonymous. I am shamed and corrected. Thank you. Post updated. Baltimore Oriole is named for Lord Baltimore, not for the city. Lord Baltimore's colors were black and orange so the black and orange bird got named for him. Probably it was originally Baltimore's Oriole, but with time Lord Baltimore was no more while the city continued and little by little, the s was lost. Virginia's Warbler was named for the discoverer's wife, not the state. Funny, I thought the trend was to start changing the names commemorating forgotten naturalist in favor of descriptive names. I have read several articles proposing that lately. You are the only one I know going in the other direction. I don't think we should give birds named for forgotten naturalists - as long as there's a bird named for them they aren't forgotten, right? I just don't think any one naturalist in the USA needs more than one bird named for him. There are plenty of worthy folks without this kind of recognition. On the geographic point I don't have any real rules. 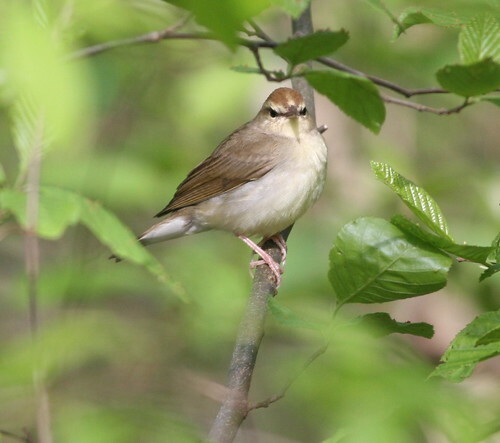 I don't favor geographic names over other things, I just don't mind it when birds have geographic names that don't really make much sense, ie CT Warbler. Fair enough. I'm not for changing naturalist names for descriptive names. I was just mentioning that I thought the trend was going the other way. Hopefully, we would stick with scientists and naturalists far enough back that their names have lost any political connotations they may have had. Certainly a hundred years ago, some would have had problems with Roosevelt for political reasons, but he is far enough in the past now that most people don't react to him on a political level, so the name would be neutral. Another option it to jump in when splits are being done to be able to slap a name on one of the newly split species. Someone must have been ready a few years ago when Clark's Grebe was split and when Bicknell's Thrush was split. You missed a chance with Pacific Wren though. With the continuing taxonomy changes, I have to learn new organization for bird species every year or two it seems. I don't know if I want that to extend to their names as well. When I read older literature, and run into names like Long-billed Marsh Wren, it sometimes takes a while for me to find out what the current name it. It would be nice to spare future birder that problem. At least with Long-billed Marsh Wren there is a clue in the name which wren this might be. Naturalist names don't give the same kind of hints. Don't forget that Roosevelt practically single-handedly established the National Wildlife Refuge System! I'll toss Frank Chapman's and Ludlow Griscom's names into the rename pile... though Griscom's anything sounds bad and I think Chapman has an antshrike named after him. Maybe Muir should get one of the nice mountainous species (Cassin's Finch, perhaps) as he did quite a bit for conservation of their habitat. Generally, I'm opposed to more name changes. It is confusing and turns off beginners and me too. That being said, I love your ideas here. Along your lines of thinking, there will be new splits occurring, the DNA and song-type analysis is going to create hundreds of "new" birds world wide. Perhaps some of the great names can be recognized more easily through this process. The kind of plants found in the state is mostly of dry deciduous kind with an assortment of Bamboo, Terminalias, pterocarpus, Anogeissus etc., The mountains especially the Southern Ghats, add greatly to the scientific variety, and provide facilities of endemism for plants, Large, long-billed marsh bird and smaller forms of animal life.